Tradier Brokerage will pass through all regulatory and exchange fees to the customer. Promotional offer cannot be used along with any other offers. 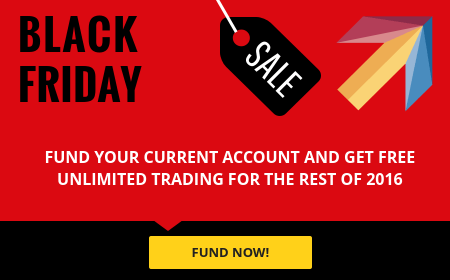 Offer valid only for existing Tradier Brokerage accounts that have been opened and with less than a $1000 balance with Tradier Brokerage prior to 11/17/2016 or any new account that is opened by 11/30/16. Account holders are required to fund their accounts with a minimum of $1000. This offer expires on 11/30/2016. Tradier Brokerage, Inc. member FINRA, SIPC is a wholly owned subsidiary of Tradier Inc.